Gavin returns for the sixth series of Dragons' Den having been there from when the show first aired in 2009. While Gavin has been at the pulse of the Media & Communications industry for many a year, he was actually reared in the hospitality and retail business with his family running pubs, restaurants and shops in Naas, Dun Laoghaire and Drogheda. Born on a farm outside Naas, Co Kildare, he considers Drogheda, Co Louth as his home town. He now lives 5 miles outside Drogheda with his wife and business partner Orlaith Carmody, and their four children. Gavin set out at a young age and impressively set up a local radio station employing 20 people by age 18. In 1989 he set up the country's first licensed provincial local radio station, LMFM, after working for some years in RTE presenting various programmes including Ireland's first television business programme, "Marketplace". 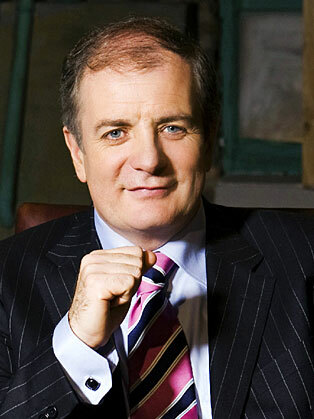 In 2004, LMFM which he founded was sold to UTV for €11 million. In 1992 he founded his Media Consultancy business Dorland which owns www.mediatraining.ie. Dorland is the leading consultancy helping Senior Executives to communicate their business messages internally and externally. He also successfully invested in a number of companies and start ups and remains part owner of the HRM Group of Companies, one Ireland's biggest players in recruitment.